On Wednesday, the FIFA Congress will vote on the two bids hoping to host the 2026 World Cup: Morocco and the "United bid" which comprises Mexico, the United States and Canada. Here's a Q&A with some background ahead of the vote. Q: It's that time again ... World Cup host bidding! Which can only mean brown paper bags full of cash, investigative hidden camera stings and a whole raft of bans and indictments keeping us busy for the next couple of years. Am I right? A: Hopefully not. Although obviously you're referring to 2010, when hosting rights for 2018 and 2022 were awarded. As the now infamous Garcia Report found, all sorts of chicanery, skullduggery and outright corruption ensued. (If you have a couple hours, you can read about it here ) This time, though, FIFA hope things will be different. A: For a start, the whole process has changed. Back then, the bids were voted on by the 24-man executive committee, comprised of the FIFA president, Sepp Blatter, and representatives chosen by each of the five confederations. 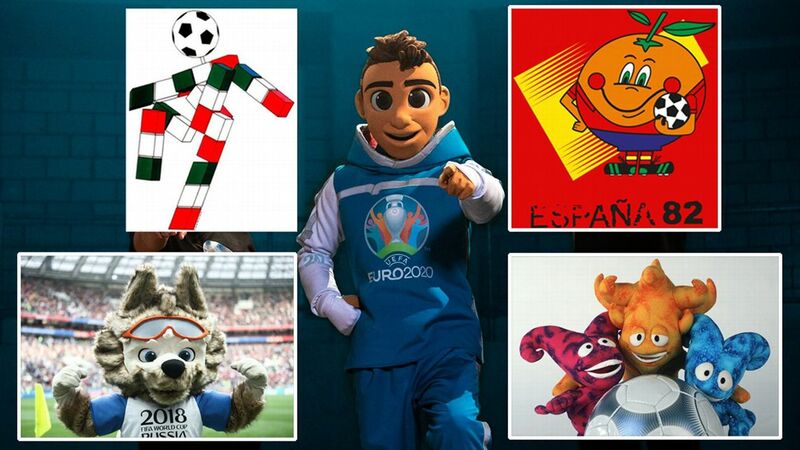 On Wednesday, every FIFA member nation will get to vote, with the exception of the four bidding nations. Instead of 24 voters, we'll have 207. Or possibly 203, if the four U.S. territories -- Guam, Puerto Rico, American Samoa and the U.S. Virgin Islands -- who have their own FAs -- are barred from voting, as Morocco has requested. A: Who knows? This is FIFA, after all, and this voting system is new. Morocco's argument is that there's a conflict of interest there, since they ultimately belong to the United States, which is part of one of the bids. On the other hand, there are a bunch of "fuzzy" situations like that within FIFA, such as the four home nations -- England, Scotland, Wales and Northern Ireland -- all of whom have distinct FAs while sharing a sovereign government, the United Kingdom. The other big innovation is that, unlike the past, it will be a public vote. No more secret ballot; we'll know who everybody voted for. All in the name of transparency and good governance. Q: Are you buying it? A: There are pros and cons. The argument in favor of having the whole assembly vote is that it's more difficult to illegally influence 207 voters than it is 24. Not having a secret ballot means countries can be held to account: In the past, voters endorsed one bid publicly and then voted for another. Or perhaps even sold their votes to multiple bidders. You can't do that anymore. Will the U.S.-led bid win the rights to host the 2026 World Cup? It's anyone's guess, but FIFA president Gianni Infantino supports the United bid. I'm also not sure the individual FAs are necessarily going to be much better in terms of prioritizing the future of football over their own local concerns. A: For starters, more than half the FIFA member nations aren't exactly functioning democracies. It's hard to see why we ought to expect higher standards from a country's FA than from its government. Based on past events, my guess is that many will vote based on the following criteria: what their government wants them to do, what their region wants them to do (bloc voting is alive and well) and what benefits their particular FA, rather than football as a whole. The fact that it's a public vote means that many won't deviate from that. Q: What's the voting procedure? A: Real simple. It is done electronically, and you get to pick one or the other or "none of the above." Majority wins, so if nobody gets more than 50 percent, the bottom option disappears and you vote on the other two. So if, say, "none of the above" and Morocco finish highest in 1st round, the United bid drops out and it's "none of the above" and Morocco in second, effectively re-opening the bid and turning the whole affair into a freak show. Q: OK, so if those are going to be the voting criteria, who has the edge? Morocco or the United bid? A: Here we're getting into geopolitics, of course. Plenty are wondering whether President Trump's tweet last March will affect the outcome. United States Soccer Federation boss, Carlos Cordeiro, says it won't, but then what else is he going to say? Then again, he may be right. Realistically, most nations know the U.S. is watching them and how they vote. For those who don't like the U.S., or the current president, it just means they can use it to reaffirm their dislike. Bloc voting is more of a factor. CONCACAF is obviously going to mostly back the United Bid, Africa will mostly go for Morocco (although there have been some fairly public defections, like Namibia, Zimbabwe and Liberia). South America is also committed to the U.S. Asia, Oceania and UEFA are generally up for grabs. Europe is particularly split, with France and Belgium behind Morocco and Russia (and many former republics, at least those who still have good relations with Moscow) expected to back Morocco, too. The key factor might end up being those who vote based on how the bid benefits their FA. Here, you'd expect the United bid to have a decisive edge. Which may explain why many project it to win with anywhere between 110 and 140 votes. But there's plenty of horse-trading and campaigning left to be done. A: Two factors. First, even though he has to remain impartial, most believe Gianni Infantino, the FIFA President, favors the United bid. On Monday, he reiterated his advice to voters: "What I am saying to everyone is look at the [technical] report, what is good for football, for the development of football all over the world. Then take your decision on your convictions." The technical report clearly favors the United bid. It scored 4 out of 5, while Morocco managed 2.7 out of 5. The other factor is cold, hard cash. There is no question that a North American World Cup would generate far more money than one in Morocco. Cordeiro says it's as much as $14 billion, which would work out at more than $50 million for each FA. Morocco disputes the numbers, but even if they're inflated (and you wonder about some of them -- a United bid 2026 World Cup would have average ticket prices of more than $410), obviously there is more money to be made there. Q: So it's greedy FIFA all over again? A: That's one way to look at it. But it's not as if the cash goes to FIFA officials. All the profits get funneled back to the member associations. Remember, many of them depend on FIFA funds to survive. 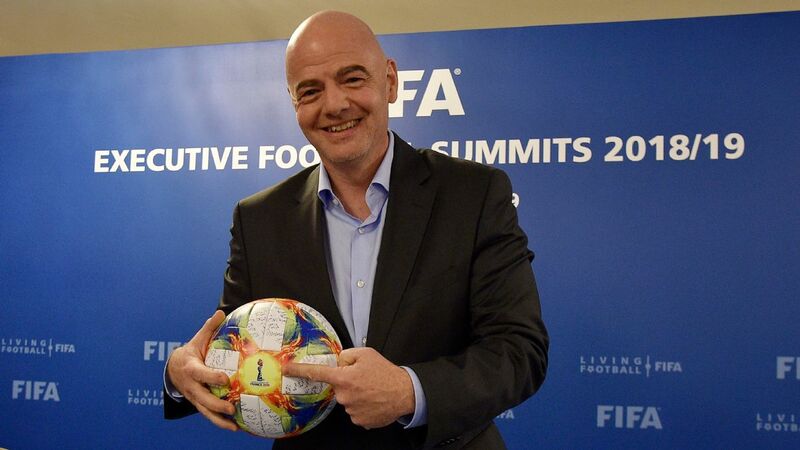 Infantino ran on a platform of giving more money back to the member associations, which may explain why he might favor the United bid too: He has election promises to keep. Q: Who do you want to win? A: Me? I just want it to be clean. Or, at least, cleaner than last time. Which shouldn't be difficult.